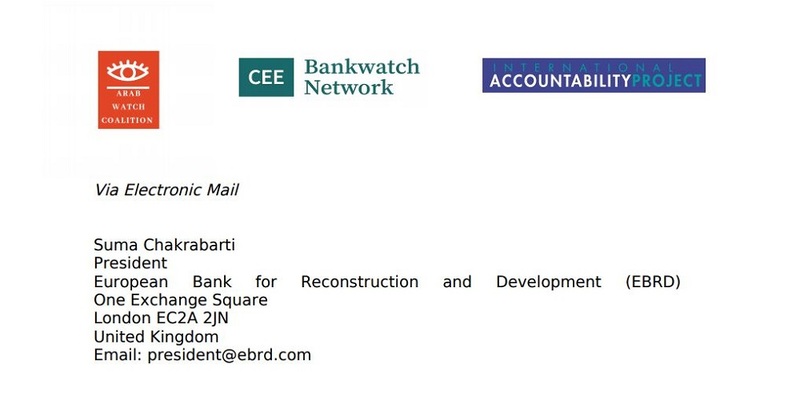 CEE Bankwatch Network, Arab Watch Coalition and the International Accountability Project call to the EBRD President, Sir Suma Chakrabarti, to ensure a people-centered Access to Information Policy. Communities, individuals, and civil society have the right to know and meaningfully participate in the design and implementation of development projects that will ultimately shape their lives. In practice, the right to access information goes far beyond simple information disclosure – it ensures that people are equipped to substantively engage in development processes.